Packaging Archives | K&L Looseleaf Products, Inc.
Make us your one-stop shop for your presentation. 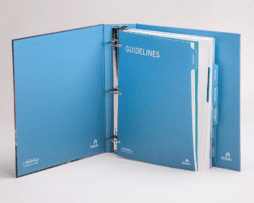 Whether we are filling a binder with brochures, tabs or catalogs, or organizing a distribution list to drop ship your gifts to your employees or clients. Custom designed rigid boxes. For individual products or multiple products with literature. 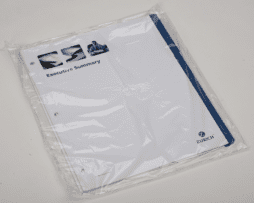 Cover wraps can be custom printed with your brand and design. To add interest and enhance the value of the product inside add embossing and foil stamping. Variety of sizes and shapes available for rigid boxes with a multitude of papers and finishings available to separate your product from the competition. Our sales and design team is ready to help handle all the details. Rigid boxes can be custom made to fit your needs. Rigid boxes have upscale details and construction for an expensive look but for reasonable pricing. Options include various handles and latches, closures… Velcro®, magnetic, and snap closures. 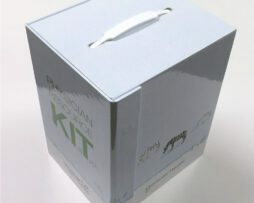 Physician Resource Kit… die cut turned edge rigid box, printed 4 color process inside and out, magnetic closure and plastic retractable handle. This rigid box includes a divider to make two compartments to separate various types of literature.